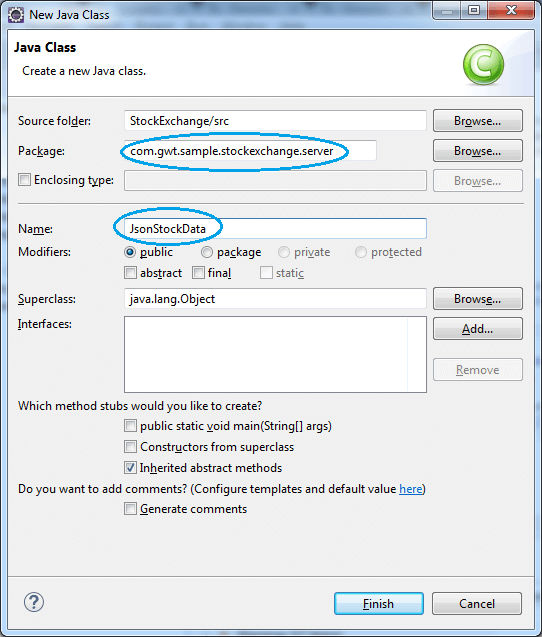 In Eclipse, open the New Java Class wizard (File > New > Class). Eclipse will create a package for the server-side code and a stub for the JsonStockData class. 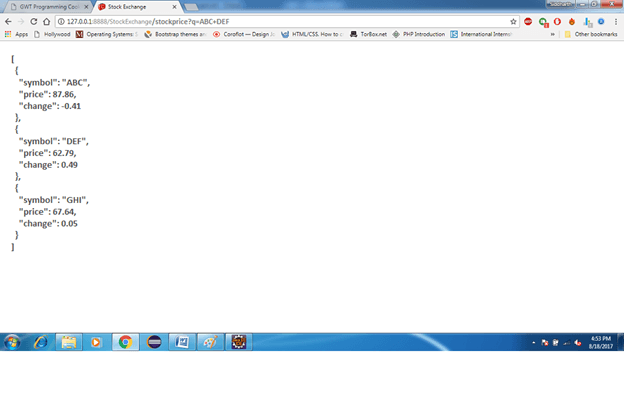 Debug StockExchange in development mode. At this point, the stock data is still coming from the client-side code. Test the stock quote server. 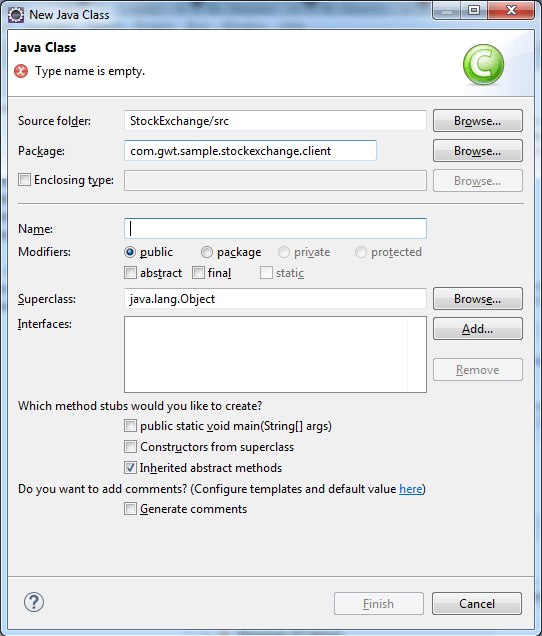 The servlet generates an array of simulated stock data encoded in JSON format.